Vancouver, Washington is a medium-sized city situated along the Columbia River. Over the years, Vancouver has incorporated several smaller areas including Salmon Creek and Felida. Vancouver is home to Clark College as well as a branch of Washington State University. It also has a large public school system divided into two districts. Vancouver is a short twenty-minute drive to downtown Portland, Oregon and is roughly three hours south of Seattle. Vancouver, similar to other areas in the Northwest like Camas, Washougal and others, is a nature lover's dream. There are several large national forests within driving distance. Within Vancouver limits, hiking and bike trails are plentiful and Vancouver Lake is a popular spot for kayaking, wind surfing and canoeing. At one time, Vancouver was the largest trading post in the Northwest Territory it is proud of its historical significance. Fort Vancouver, a historical landmark, holds several living history days throughout the year and a large fireworks show on the Fourth of July. Although Vancouver is often considered an extended suburb of Portland, Oregon, it has its own thriving art and theater scene. The downtown area has been experiencing a slow, but steady, revitalization over the past several years. Although Vancouver strives to maintain its small town feel, it also has all the conveniences of living in modern city. Movie theaters and malls co-exist with small, family-owned businesses. Typical of the Northwest, Vancouver has several home-grown beers crafted on site at restaurants and brewpubs. Prospective home owners often find homes for sale at excellent prices when looking at Vancouver real estate. It is not uncommon for home owners to purchase homes in the Salmon Creek or Felida areas and then commute to Portland or another nearby Washington city. In addition to lower home prices, both state and sales taxes should also be considered when looking at Vancouver real estate and homes for sale. Washington has no state income tax, but there is a sales tax. Conversely, Oregon has no sales tax, but has one of the highest income tax rates in the country. Other homes to consider in the Vancouver, Washington area include short sales, forclosures, and new construction homes. 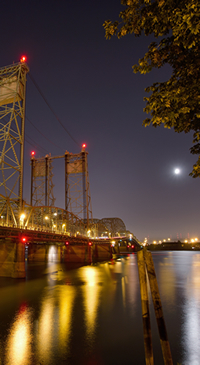 Two bridges link Portland and Vancouver and there is frequent bus service between the two cities. Vancouver is a bright, vibrant city ideally located close enough to a major metro area to reap the benefits of large concerts, Broadway shows, museums and world-class art exhibits, but far enough away to maintain the feel of a smaller city. Both Salmon Creek and Felida are in the northern part of Vancouver and have easy access to the I-5 freeway. The population of Vancouver continues to grow and Vancouver is one of the fastest growing cities in both Washington and the United States.